As Canada’s most populous city and financial epicentre, as well as a major tourist destination for its foodie scene and expansive footprint, Toronto is a veritable travel hub. In fact, it receives so many visitors by air that the city has two separate airports to field incoming flights! 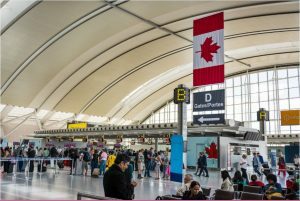 Toronto Pearson International Airport (YYZ) is its main squeeze – it saw 44.3 million travellers in 2016. However, you can also choose to touch down at Billy Bishop (YTZ), located on Toronto Island just outside the downtown core. For today, we’ll be zoning in on how to conquer YYZ as a traveller with a car, so you know exactly what to expect before rolling into departures. 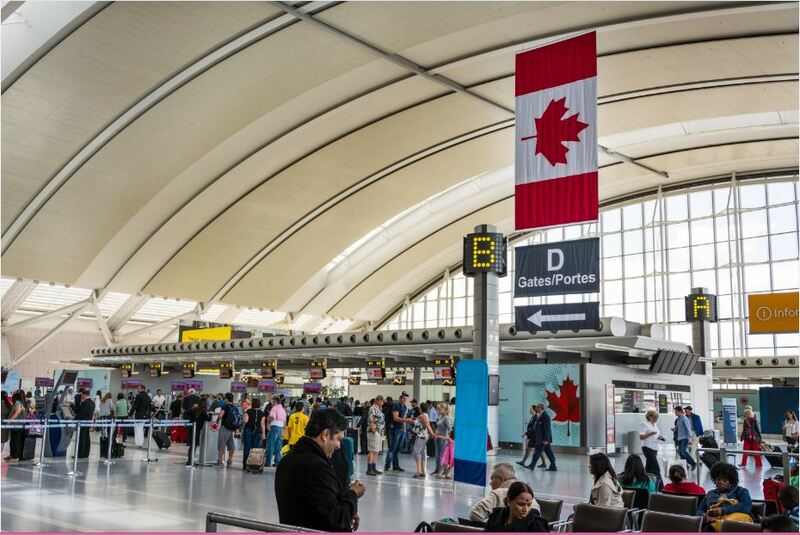 Toronto Pearson has a couple of specialty parking options available, such as valet service ($40 daily, $225 weekly) and two free cellphone lots for short-term parking while you wait for your friend or family member. Their express lot, located near Terminal 1, is intended for pick-up and drop-off. However you can also park there for a day if you’re willing to drop $50. Otherwise, it’s $5 every 30 minutes. YYZ’s two daily lots are located right next to each terminal’s departure hall, at $30 per day and $175 per week. They are ideal for the time-sensitive traveler who’s popping in and out for a business trip. The value park garage is further from the terminals, but you get a free Terminal Link ride back to the airport once you drop off your vehicle. At $25 per day and $120 per week (after day seven, start tacking on another $25 for each extra day), this option is refreshingly affordable. Those seeking longer-term parking should opt for the value park lot (not to be confused with the value park garage), at just $20 per day and $105 per week. As with the garage, additional days are extra – with this lot, they’re $20. Toronto Pearson is well-served by nearly every major hotel chain you can think of, and then some! Visitors at the Holiday Inn, Sheraton Four Points, the Westin, and the Hilton Garden Inn – to name a few – can hop on a free shuttle headed straight for YYZ when it’s time for takeoff. If you’re hankering for free breakfast, consider the Residence Inn, Fairfield Inn & Suites, the Comfort Inn, or the Sheraton Gateway (this particular hotel is actually linked directly to the airport by a walkway). Hitch a ride on the Union Pearson Express – or UP Express – directly to Toronto’s downtown core. This train takes travellers from YYZ to Union Station, which sits at the mouth of the downtown core. You can catch the UP every 15 minutes and will arrive at your destination after a short 25-minute commute. If Union isn’t your ideal place to disembark, UP also stops at Bloor and Weston stations along the way. While you ride the UP train, enjoy some free WiFi and hook your electronics up to an onboard charging station if they need a boost. When it’s time to stow your car at the airport, look no further than OneStopParking.com for unbeatable prices on YYZ parking. You can search, book, and pay for your spot using our online service, all in just a few clicks.